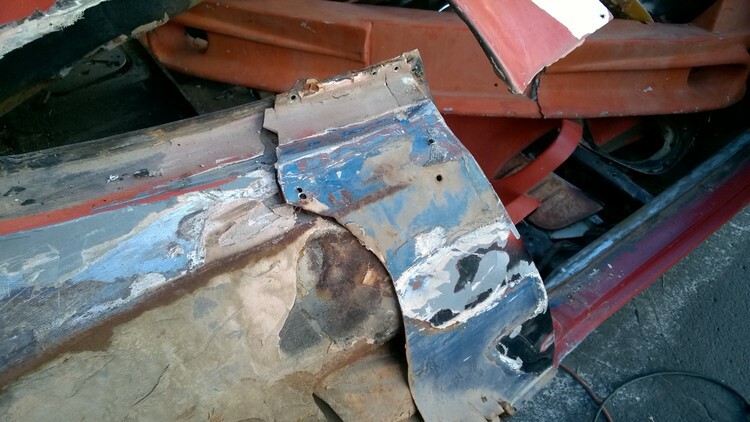 The next order of business in the restoration of Scarab #160 would be removing the fiberglass piece covering the passenger-side rear quarter, where it was apparent there had been damage sometime in the past. I was not prepared for what we found. The quarter panel had clearly been hit up high and a terrible repair done, from both a structural and cosmetic standpoint. 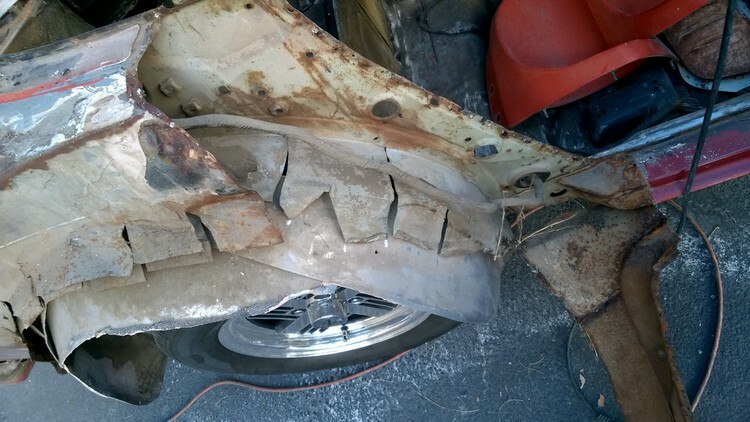 Rather than properly repairing or replacing the quarter panel, a small 12” piece of metal was scabbed onto the front portion of the quarter so the fiberglass panel had something to bond to. No attempt was made to bump the panel out, presumably because someone thought it would never be seen. 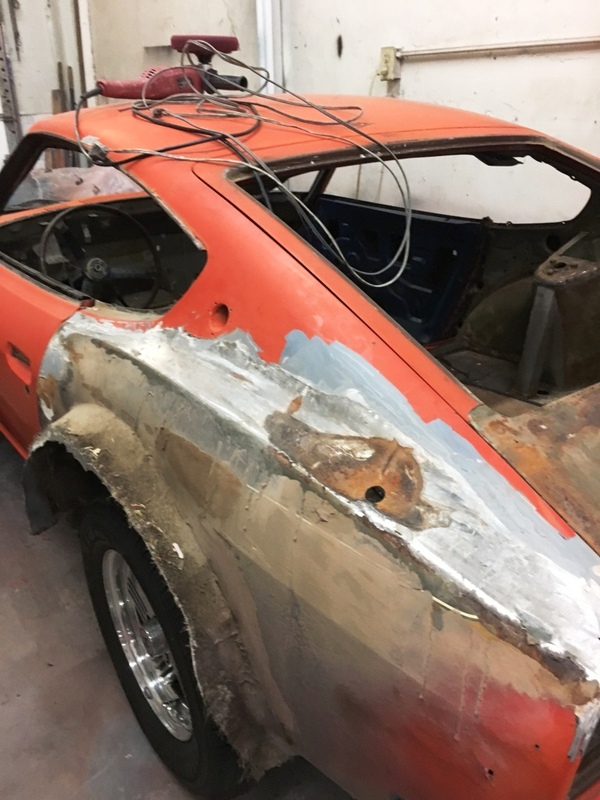 The area of the quarter panel where the inner fiberglass wheel well liner would be adhered was simply relief cut with tin snips and bent up every 3-4” to create an arch to fasten the glass panel to. Without the benefit of any actual vehicle history we were left to guess what had happened and when. The long-term outdoor storage would explain the moisture seeping between the metal and fiberglass panels, trapped until it evaporated. 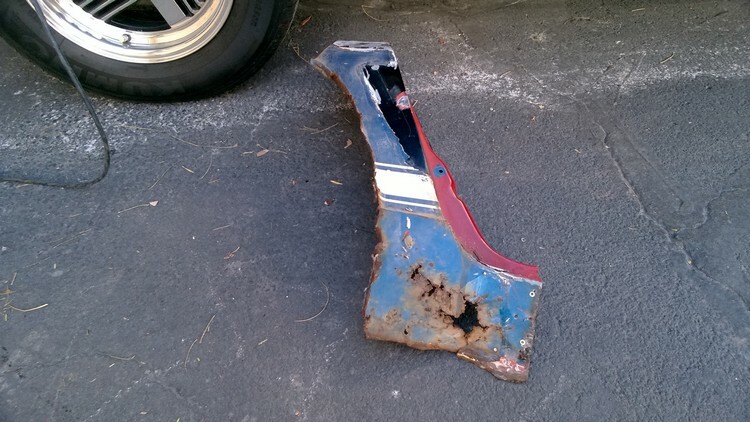 This meant the entire rear quarter panel would need to go away. I later learned that all widebody Scarabs had relief cuts made in the fender lip and the individual pieces bent up, as mine did. Apparently “back in the day,” that was the way to add flares, providing room for larger wheels and tires. The left side quarter panel was equally ugly so reluctantly we decided to replace both rear quarters. The damaged car probably had little value in those years (mid 1980’s?) so a quick and dirty repair may have been affected just to get the car back on the road. 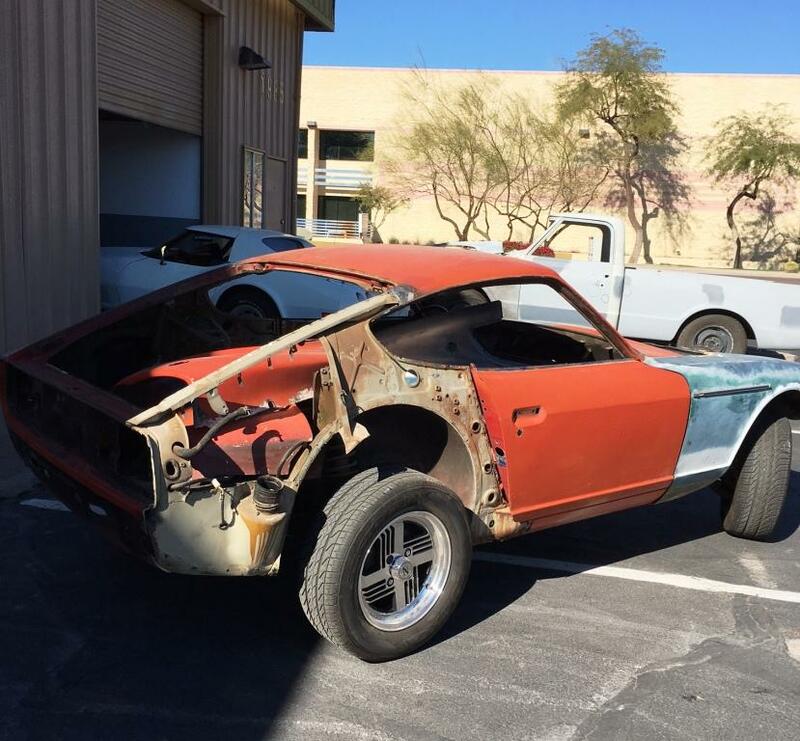 I’m guessing the owner may have left the car at the shop and never came back, or forfeited it to the shop owner when he couldn’t pay the repair bill. Since she’ll be “under the knife” for quite some time, let’s get into the mechanical restoration of Scarab #160 in Part 10.